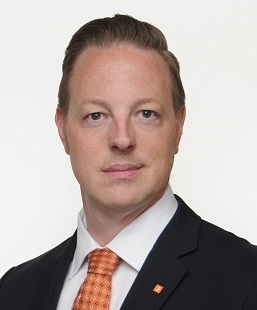 As of ACEC-SK’s AGM held on June 7, 2018, Bryce Hunter, P.Eng. assumed the Chair of the Association of Consulting Engineering Companies - Saskatchewan Board of Directors. He is joined by Nancy Inglis, P.Eng., Vice Chair, Patrick Lalach, P.Eng., Secretary-Treasurer and Paul Walsh, P.Eng., Past Chair as the board executive. These individuals will lead the 2018-2019 Board of Directors composed of Directors Ryan King, Daryl Andrew P.Eng., Sean Bayer, P.Eng. Brett LaRoche, P.Eng., Nick Wright, AScT and ACEC-Canada Liaison Lawrence Lukey, P. Eng., Young Professionals Liaison Matt Feige, P.Eng., APEGS Liaison Anastassia Manuilova, P. Eng., and Associate Member Liaison, Lee Jaboeuf AScT. In a presentation prior to the AGM, SK Finance Minister, Donna Harpauer addressed The Impacts of Capital Investment in Saskatchewan, a topic of interest for ACEC-SK members. “This fit well with the goals of our incoming Chair,” said Executive Director Beverly MacLeod. “Bryce acknowledges that our members are currently facing broad and rapid economic changes. He will drive the dialogue in new directions and provide strategic leadership for ACEC-SK on the issues facing our industry." The Association of Consulting Engineering Companies - Saskatchewan (ACEC-SK) is a non-profit association representing the majority of consulting engineering and consulting geoscience firms in Saskatchewan. As the business voice of the Saskatchewan consulting engineering and geoscience industry, ACEC-SK is the link between private industry, government, purchasers, decision makers, and owners.